Why? Because weak gun laws in most states mean that virtually anyone can openly carry loaded weapons without any permits, training or background checks. Private businesses should protect their customers from potentially dangerous situations while they shop. Join us in applauding The Fresh Market for listening to its customers and taking a stand for safety. Use the form on this page to send a thank-you message to The Fresh Market CEO Rick Anicetti. Thank you for enacting a policy to prevent guns from being openly carried in The Fresh Market stores. This policy will promote a safe, comfortable and welcoming environment for customers and employees alike. 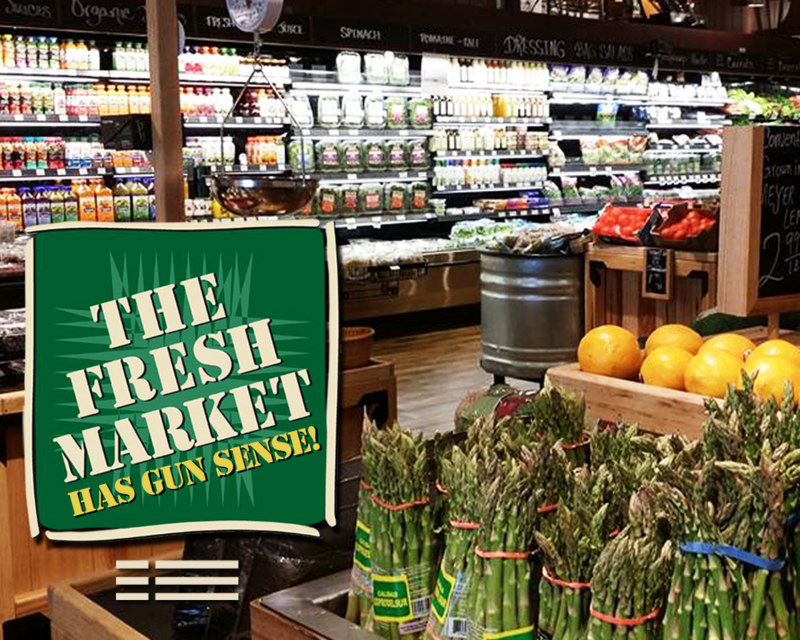 I am grateful that The Fresh Market is joining the growing number of American companies that are adopting gun sense policies. I look forward to future experiences with The Fresh Market stores. Larry B. just signed the Thank Fresh Market for taking a stand for safety petition. Ed O. just signed the Thank Fresh Market for taking a stand for safety petition. Diane G. just signed the Thank Fresh Market for taking a stand for safety petition. Chris K. just signed the Thank Fresh Market for taking a stand for safety petition. Sharon S. just signed the Thank Fresh Market for taking a stand for safety petition.